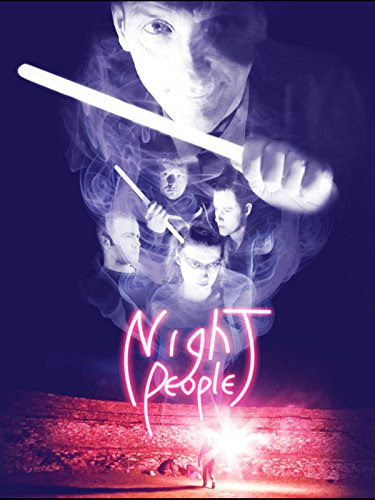 Night People is an Irish Horror / Science Fiction story which marks the feature film debut of director Gerard Lough and stars Michael Parle, Jack Dean-Shepherd and Claire Blennerhassett. The film was shot on location in Donegal and Dublin and features a large cast made up of some of the country’s most exciting new acting talent. The film tries to breathe new life into genre cinema with striking visuals, provocative themes with an ambitious intertwining narrative that has plenty of twists and turns. A pair of professional but mismatched criminals break into a vacant house to carry out an insurance scam. Awkwardly thrown together with an hour to kill, they reluctantly start telling each other tall tales that involve everything from vampires to alien artifacts. As the night progress the line between reality and fiction starts to blur as the hidden agendas of both men are revealed.